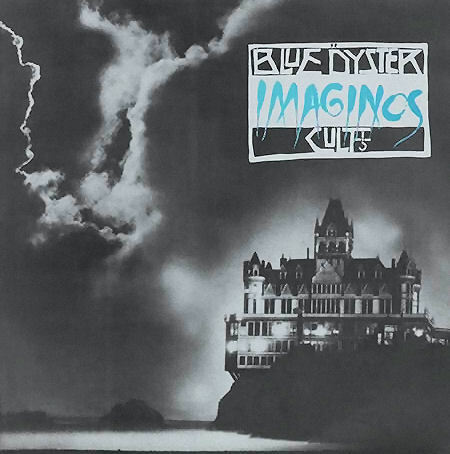 As the name of this blog should make it quite clear, I have been a major Blue Öyster Cult fan for the past 30 years or so. They are one of the very few acts whose complete discography I own, and their albums are a constant presence in my CD player. On the other hand, my love for them is something that I would be hard put to explain. How can a long-time follower of progressive rock be so keen on a band whose output is generally recognized as tangential to prog at best, and be instead rather indifferent to the widely-worshipped likes of Genesis? Called anything from ‘the American Black Sabbath’ (even though they actually sound nothing like Iommi’s crew) to ‘the thinking man’s heavy metal band’ (as if metal was the sole prerogative of Neanderthals) throughout the almost 40 years of their career, BÖC managed to achieve a measure of stardom through their mega-hit “Don’t Fear the Reaper” and another couple of very successful songs. For a number of years, between the late Seventies and the early Eighties, they played to sold-out arenas before they entered a stage of apparently unstoppable decline (at least as regards commercial success) – which led them to lose their deal with Sanctuary Records, so that their latest studio album, Curse of the Hidden Mirror, was released almost ten years ago. 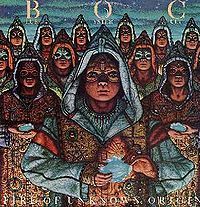 Blue Öyster Cult are one of those rare bands who appeal to both mind and body, capable of dishing out powerful rockers and catchy radio anthems, as well as complex, thought-provoking compositions with more than a nod to progressive rock – often in the space of a single album. Even if, over the years, they have lost three of their original members (the Bouchard brothers and keyboardist Allen Lanier, who retired from the music scene a few years ago), they have soldiered on, impervious to the setbacks, and delivering the goods whenever on stage. In spite of their lack of a recording deal (and consequently any new material), they have never stopped touring, even if the only two founding members left, Eric Bloom and Donald “Buck Dharma” Roeser, are in their mid-sixties, and are still a major draw for American and European audiences – as proved yesterday evening by the crowd that greeted them at Baltimore’s Bourbon Street. Though it can hardly be denied that the quaintly-named venue in downtown Baltimore is quite unlike the arenas that BÖC used to fill back in their heyday, the reception that the band got yesterday evening was as warm and enthusiastic as it was in those years, and probably even more so. A friendly, welcoming space on the ground floor of a Victorian red brick building, with plenty of room for standing (as well as a few stools and tables for those needing to rest their legs) and well-stocked bars lining the walls, the Ballroom at Bourbon Street possesses all the character lacking in those more comfortable, yet soulless arenas without being disreputable – with a raised stage that allows most people (even short ones like me) to see what is going on, excellent sound quality (loud enough without being deafening – no ear plugs needed! ), and a respectable capacity. My only quibble would concern those people seemingly unable to stay put for more than five minutes, who kept walking from the stage to the exit and back to the stage area, bumping into me or forcing me to move aside while I was trying to enjoy the show. I had seen Blue Öyster Cult play live only once before, 25 years ago. about this time of the year 1986, and the gig was in doubt almost to the last minute due to severe weather conditions – since the venue was basically a large circus-like tent, and the snow that, very uncharacteristically for Rome, had fallen quite heavily threatened to collapse the roof. The band was touring in support of what is widely considered as their weakest album – Club Ninja – and minus Allen Lanier. In spite of that, they delivered a blinder of a performance, whose highlight for me was the 8-minute version of “Veteran of the Psychic Wars”, one of my top 10 songs of all time. After a lengthy hiatus from music due to a series of changes in my personal circumstances, in the past few years I managed to miss the band some four or five times, which left me understandably frustrated. So, when yesterday they took to the stage at around 9.30 p.m. (after a short opening set by young Canadian blues-rocker Luke Mulholland and his band), you can imagine my disappointment when I realized that they were one member short – and the missing person was none other than charismatic frontman Eric Bloom. I had heard great things about Rudy Sarzo, and his performance of yesterday night confirmed that – far from being a showy hair-metal reject – he is a very accomplished bassist, with a commanding stage presence, looking not a day older than he was in his tenure as a member of Quiet Riot and Whitesnake, in spite of having turned 60 at the end of last year. His solo spot in the middle of “Godzilla” was introduced by Buck Dharma in his typical deadpan style, and carried off in a remarkably original manner, including snippets of famous songs from his former bands: in particular, the opening riff to Dio’s “Holy Diver” was cheered enthusiastically by the crowd. Moreover, his masterful handling of the bass part of “Shooting Shark” (originally written for Randy “The Emperor” Jackson) was probably the highlight of his whole performance. 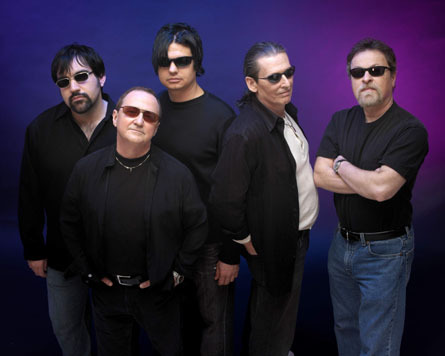 The band’s two newest members, drummer Jules Radino and keyboardist/guitarist Richie Castellano (who, when wearing sunglasses, bore an uncanny resemblance to a younger Eric Bloom), acquitted themselves admirably, being both accomplished musicians in spite of their young age. Castellano took up Bloom’s role on both guitar and vocals when needed, while Radino provided a perfect complement to Sarzo’s stunning bass lines – not a mere skin-basher, but also capable of the subtlety required by some of the band’s songs. However, the star of the whole evening was none other than Buck Dharma himself. He stole the show with his warm, affectionate banter, accomplished singing, and incredible guitar work. Though highly rated by experts and worshipped by fans, he gets far too easily overlooked whenever accolades for best rock or metal guitarist are awarded – in favour of other, much flashier six-stringers who simply cannot match his sheer expressive power coupled with remarkable technical skill. At the end of a week that marked the untimely passing of another guitar icon like Gary Moore, seeing Buck perform was nothing short of sheer delight. Diminutive and unassuming, all dressed in black and sporting his trademark moustache, he tore the place down without resorting to those cheap gimmicks that are so popular with the ‘shredder’ crowd. The absolutely jaw-dropping version of “Last Days of May” (one of the most beautiful BÖC songs bar none) was alone worth the price of admission, with its customary extended solo section blisteringly introduced by Castellano, then gradually picking up speed and unleashing a frenzied yet amazingly disciplined Buck solo that saw him drop on his knees, backed by Radino’s relentless drumming – to the audience’s ecstatic response. In comparison, his instrumental showcase “Buck’s Boogie”, though quite stunningly rendered, felt almost sedate. The obligatory “The Red and the Black”, “Don’t Fear the Reaper” and “Hot Rails to Hell”, delivered with energy and flair, did not disappoint either, while the subdued, yet subtly malevolent “The Vigil” provided a taste of the more intricate fare that BÖC have produced alongside their catchier, more straightforward tunes. All in all, it was a great evening of music in a friendly, almost intimate setting. Even if some might think that playing a small venue like the Bourbon Street Ballroom is a sort of downgrading for rock legends like Blue Öyster Cult, the faceless arenas where most of today’s ‘big-league’ concerts take place cannot compete with the genuine warmth and community feeling of those smaller, unpretentious spaces. It is quite obvious that all of the band members love performing in front of an audience, since they do not come across for a second as a bunch of people going through the motions – and, even one man short, they could deliver the goods in a way that many of the above-mentioned ‘big-league’ outfits can only dream of. Needless to say, I will be eagerly waiting for the next time BÖC will play in our area. Indeed, yesterday’s gig was worth the 25-year wait.